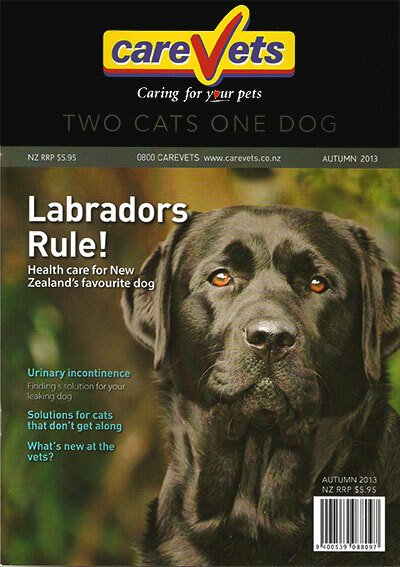 Head in store and pick up a copy of the latest CareVets `Two Cats, One Dog` Magazine. Labradors Rule! Health care for New Zealand’s favourite dog. Cat wars – when cats in the family don’t get on. Ticks and tick diseases in Dogs and Cats.